We are proud to introduce our new line of SurfPrep Abrasives! 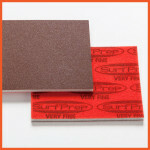 SurfPrep is a 21st Century foam abrasives pad made to be used with either air or electirc sanders. SurfPrep can be used on all types of coatings and surfaces. ABRASIVE: SurfPrep Foam Backed 3″ x 4″ x 5mm Red A/O FINE Grade Pads used for Scuff Sanding Kitchen Cabinet Components in preparation for Top Coat. 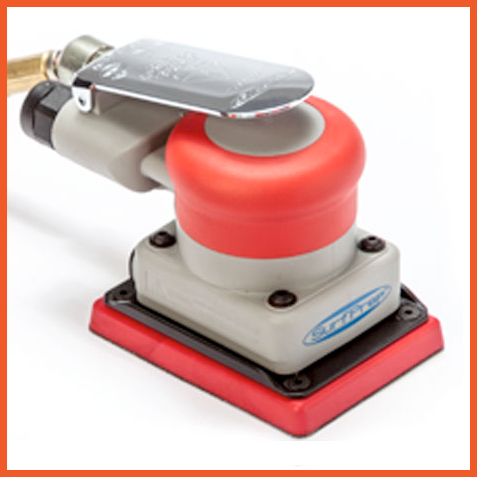 TOOL: SurfPrep/Air Vantage 10,000 RPM 3″ x 4″ x 3mm orbit H&L Sander. ABRASIVE: SurfPrep Foam Backed 3″ x 4″ x 5mm Red A/O 150 grit Pads used for Scuff Sanding Kitchen Doors & Drawer Fronts on Production Line in preparation for Top Coat. TOOLS: SurfPrep/Air Vantage 10,000 RPM 3″ x 4″ x 3mm orbit H&L Sander.